Back on Merseyside after Murcia and Toulouse, Kevin had the opportunity to purchase a second-hand Saito vibraphone in the classic Lionel Hampton early years style. Taking it to it easily, Kevin found a new jazz avenue to explore having to think about single line melodic improvisation more than he had ever done playing piano. 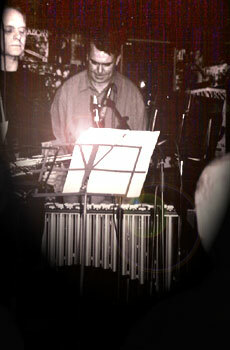 However, moving back to Toulouse in 1995 for another IT assignment halted his vibes studies for about a year until a move back to Bristol in 1996, allowed him the opportunity to join Bristol Jazz Workshops led by the bassist Dave Goodier, furthering his vibe techniques. Out of the Bristol Jazz Workshops came his band Zingaro fronted by Kevin on vibes, Tim Gunnell on guitar and Soul Searcher Mike Gavaghan on tenor.